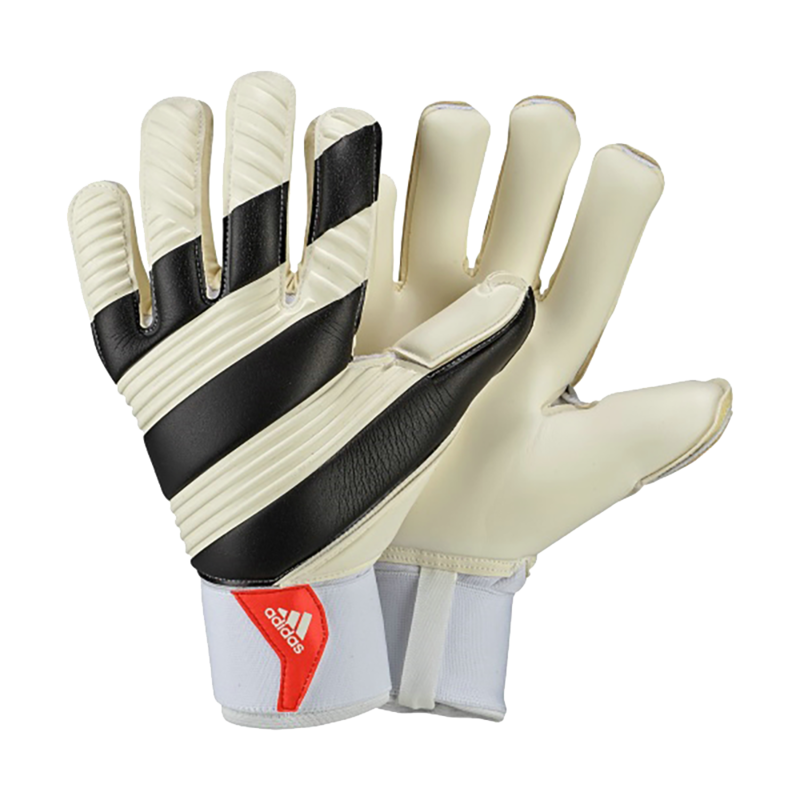 3.5 mm of Nova latex with 4mm cushioning foam gives the Ace Pro the best grip and cushioning for soccer goalkeepers in the adidas range. Double thumb wrap for increased stability and a tight fit for the thumb from the top and the bottom side. The Nova + cushioning foam has been designed to the exact specifications of Adidas match balls. Full Latex backhand for comfort and feel. Revolutionary neoprene close fitting bandage provides an ideal fit to the wrist. 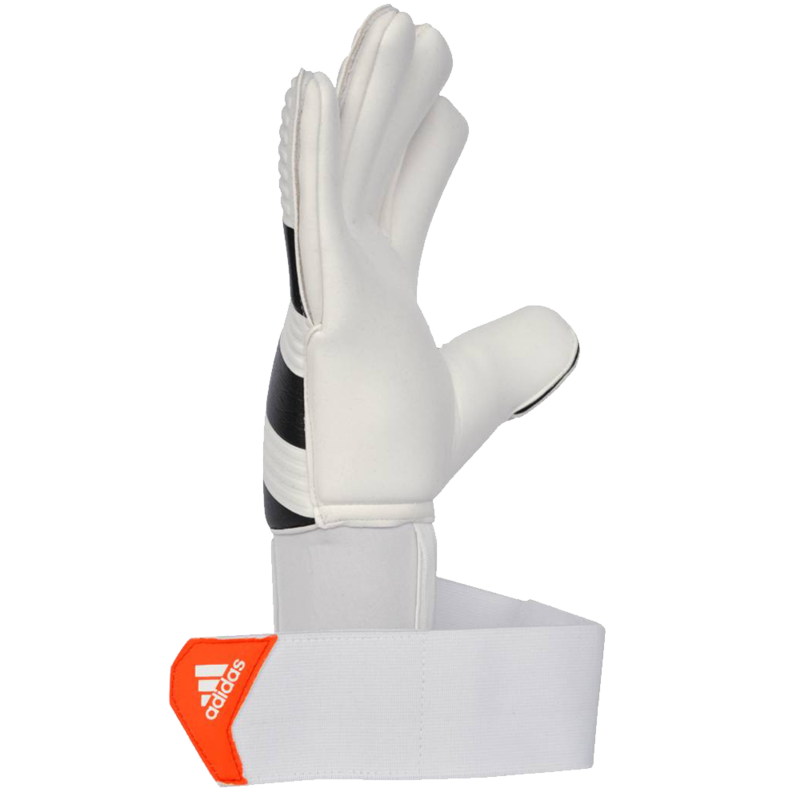 The Adidas stretch strap allows the goalkeeper to customize the fit and feel of the goalkeeper glove making it a perfect fit for most wrists. All weather. Best when palm is kept damp.